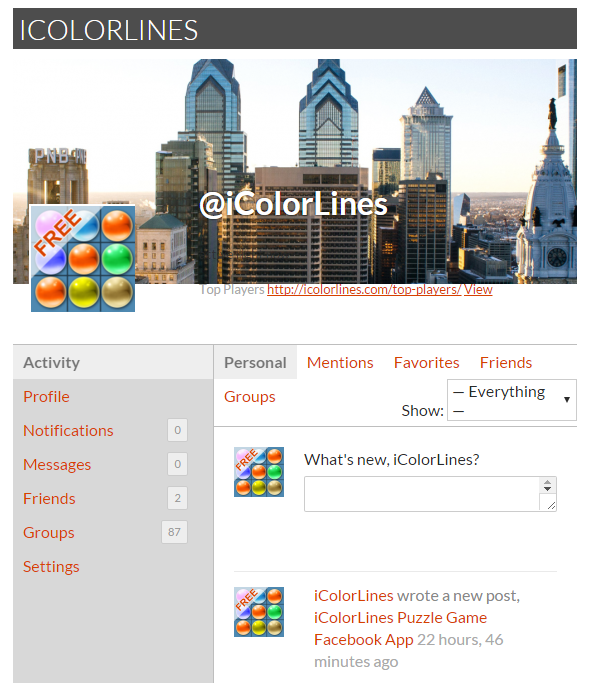 Once you finish your first Color Lines puzzle game, you can type in your name to create your account at icolorlines.com. At the same time, your account would be bound to a group/country where you are playing from. From now on, you are eligible to compete in your country and in the world.